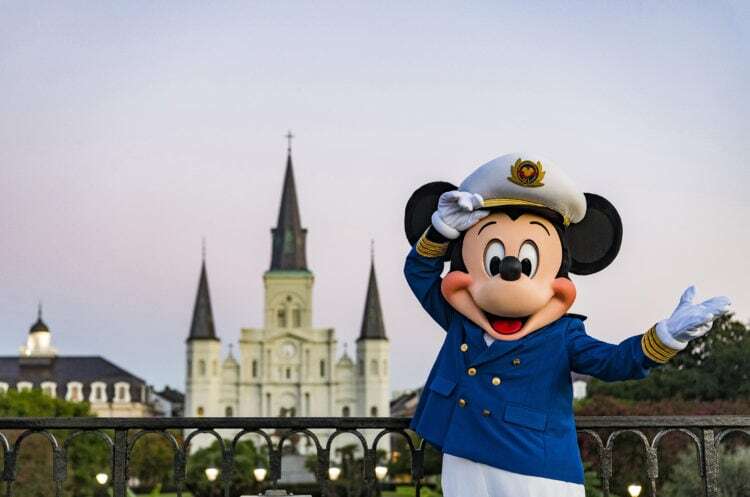 Taking your first Disney cruise? 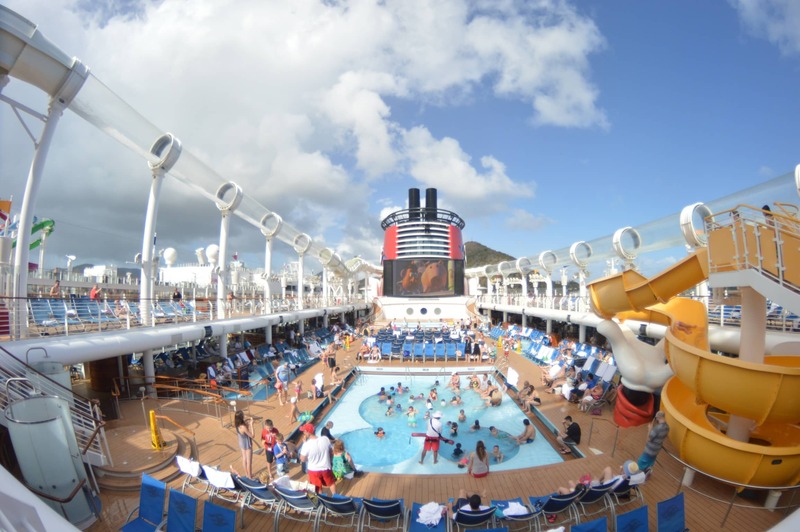 Sailing on Disney Cruise Line is as exciting as it is expensive. It really can be the experience of a lifetime for Disney nerds and people who enjoy the calibre of service Disney is notorious for. 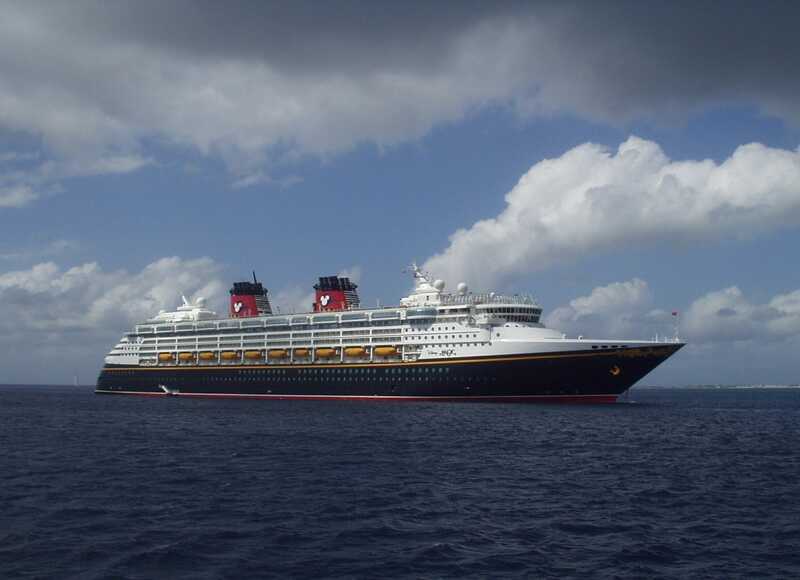 I have been on 2 cruises on the Disney Magic (my first two cruises ever) and more recently, once on the Disney Fantasy. 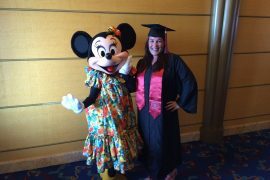 The following are things that I found useful or interesting about sailing with Disney Cruise Line. 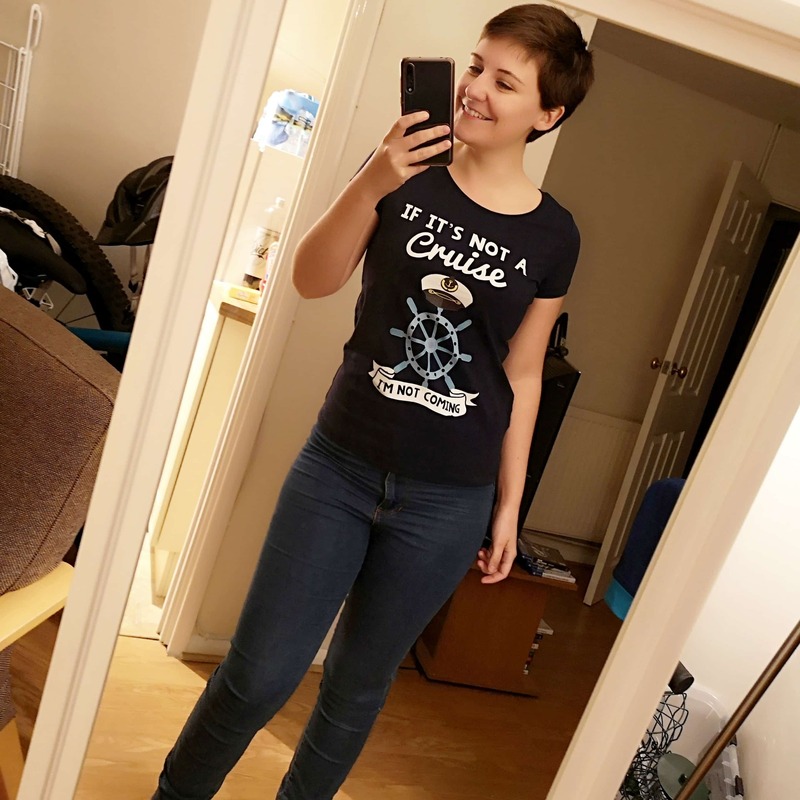 If you’re sailing with them for the first time, you might enjoy this post! 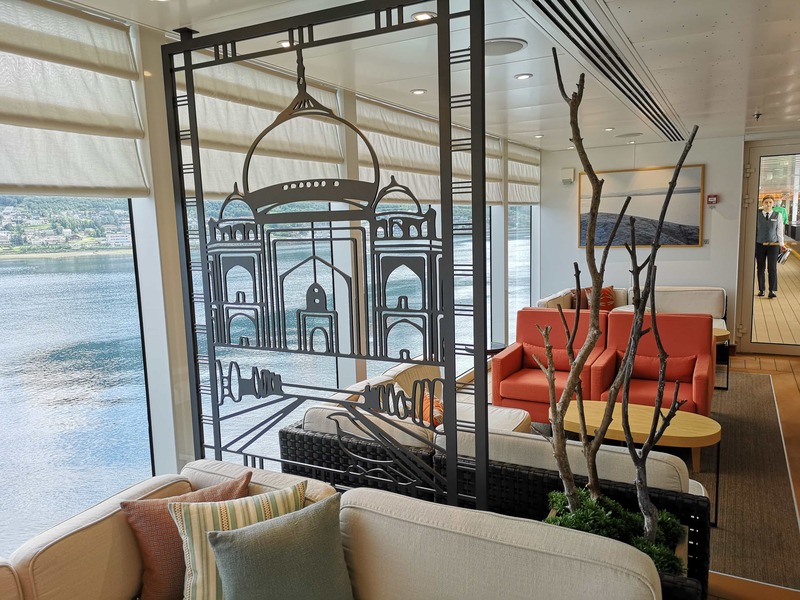 Room number decorations help you figure out what side of the ship you are on! The plaque that displays room numbers in the hallways are decorated with an ocean-themed “statue”. If your stateroom is on the starboard side you will see a seahorse above your room number. For a port side room, you will see a fish above your room number. If you are one of the lucky ones that have a starfish above your room number, you are a concierge-level guest. The world map on the carpet in the hallway distinguishes which direction you are walking! There are prints of the globe on the carpet in the hallways on the Disney ships. If you happen to notice which direction they are facing when you are walking, you can easily tell if you are walking forward or aft. Walking towards the North of the globe? You are heading forward. Walking South of the globe means aft. On one of our first Disney cruises, it was pointed out to us that throughout the whole ship there are hidden Mickeys to be found. One of the many inventive touches by the Disney brand. If you look at the staircase railings in the atrium, you might notice some in the metalwork, or around the glass elevators. There are plenty more around the ship, but I won’t give their whereabouts away. Popular characters will require tickets for meet and greets! On my sailing on the Fantasy, Anna and Elsa from Frozen were virtually brand new still in the Disney world. Their popularity led Disney to require the distribution of special event tickets for meet and greets with these characters. Do not fret as it is not an extra charge. When we were onboard we needed to pick a time and get tickets from Guest Services during certain hours on embarkation day. According to the Disney Cruise website, depending on your loyalty status, you can make meet and greet reservations after your cruise is paid in full, through your online reservation. 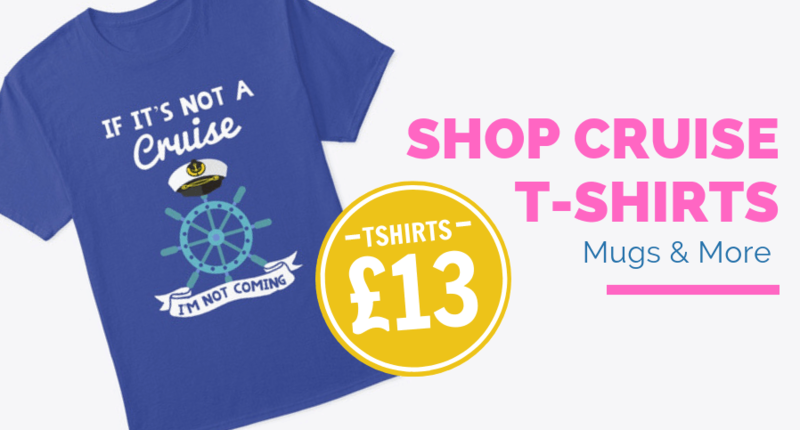 If you wait until embarkation day, there is a chance there will no longer be any tickets available so I would suggest reserving this in advance. How do you meet and greet a character? There are regularly scheduled character greetings throughout the day which do not require tickets or reservation. These are on a first-come-first-serve basis based on the scheduled time. You can check your paper Personal Navigator or digital copy on the Disney Cruise Line Navigator App for characters and times on the days of your sailing. Due to storage limitations onboard cruise ships (I’m talking about storing character costumes). There will not be a large group of characters onboard the ships, and characters rotate out every so often. I was a bit disappointed as Rapunzel left the Fantasy several sailings before mine, but they had plenty of other characters to meet. 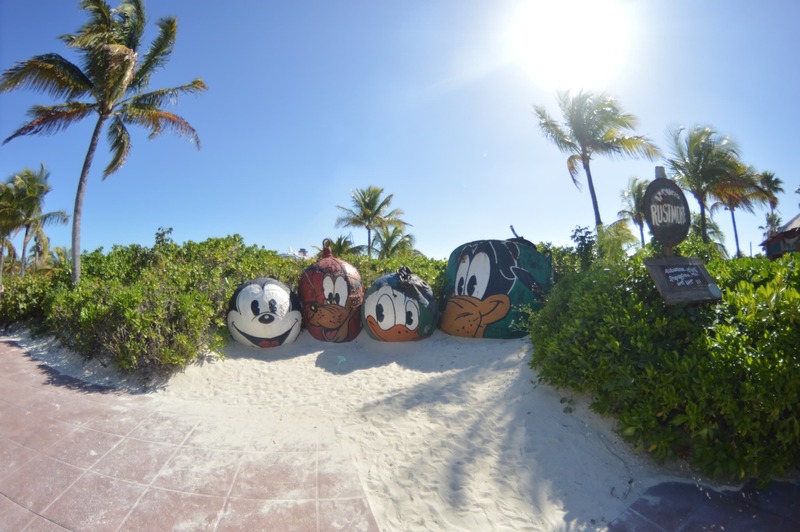 All Bahamian and Caribbean Disney cruises include a stop at the private island of Castaway Cay. There are kids areas, family areas, and adult-only areas. There is also a post office right off the pier so you can send postcards to friends and family and make them so jealous! Also, you can take part in the Castaway Cay 5k run, or enjoy an encounter with stingrays. Like all private islands, enjoy the complimentary island BBQ for lunch! It’s a nice private cruise line destination as the pier negates the need to tender ashore, as opposed to most of the other cruise line private destinations. I went to the adults only beach when I was there last time and there was a cool sandbar to swim to. It had fish swimming around and some starfish on the sandy floor. See new Disney movies before they are released to the movie theaters on land, and see current and old classics in the onboard movie theater. There is a snack shop outside called Preludes where you can purchase concessions for the movie but I’ve heard of people bringing their own snacks from home onto the ship and taking them to the theater for the show, much like going to the movie theaters at home. “McFarland, USA” was the pre-release movie showing on my sailing (I sailed in February 2015). Nemo’s Reef and Aqua Lab for water fun! The Aqua Lab (available on Disney Magic, Wonder and Fantasy) and Nemo’s Reef (available on Disney Dream and Fantasy) are fun, splashy areas for the kiddos. The Aqua Lab lives up to its scientific name with all sorts of animated water pipes that spout water, buckets that dump water, interactive wheels to control the water, and more. Nemo’s Reef is a small splash area for the little squirts, complete with a small slide down Mr. Ray’s back into the splash pad, and numerous fountains and a water “curtain” that mimics the East Australian Current that is referenced in the movie. Disney pioneered the idea of rotational dining, and it is so much fun. There are three main dining rooms that guests rotate between throughout a sailing, and your waiters follow you so you get to keep the same dining room staff in every restaurant. What are the Disney Cruise Line restaurant themes? The restaurants are all themed, and the dining room staff change uniform based on the dining room they are in. The Disney Magic used to have a fun Key West-themed dining room called Parrot Cay, which then changed its name to Carioca’s, which now has become a Tangled-themed restaurant called Rapunzel’s Royal Table (I have to go – she’s my favorite!!). 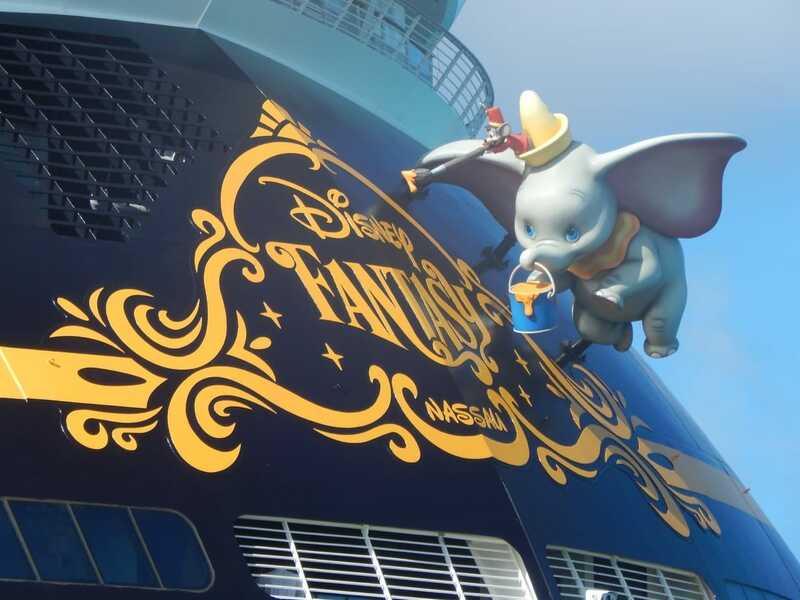 Other restaurants include Animator’s Palate (all ships), Lumiere’s (Disney Magic), Triton’s (Disney Wonder), the new Tiana’s Place (Disney Wonder), Enchanted Garden (Disney Fantasy and Dream), and Royal Palace/Royal Court (Disney Dream/Disney Fantasy). 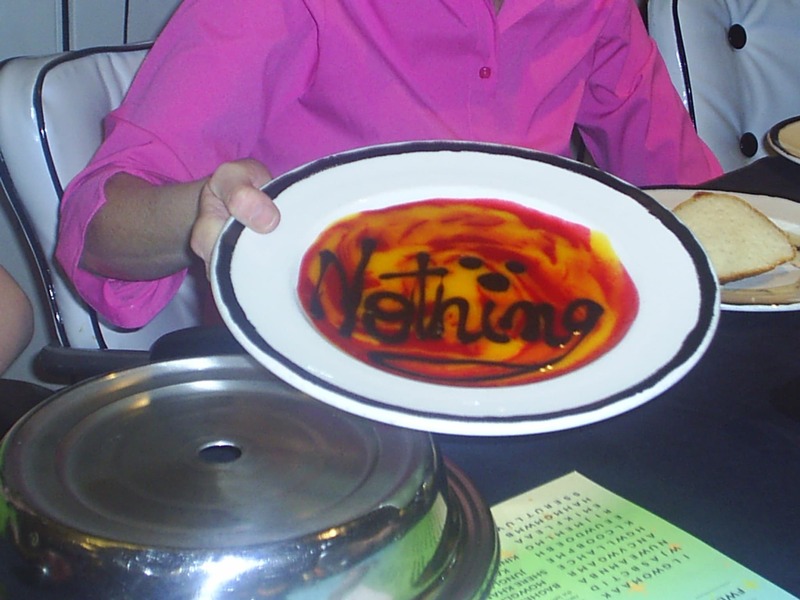 Bonus tip: If you order “nothing” for dessert, you will literally get a plate of “nothing”. Disney is also known for their food, and they offer a couple of premium dining options in addition to their included dining. The speciality restaurants are adult-only. All of the ships have the restaurant called Palo, which specializes in Northern Italian cuisine. The Dream and Fantasy also have Remy, which like its animated namesake, serves French cuisine. Both restaurants serve brunch and dinner, and reservations are required. Disney Cruise Line: How much do the speciality restaurants cost? There is a charge to eat in both of these restaurants and a dress code is enforced. Palo is $30 per person for both brunch and dinner, and Remy comes in at the top at $60 per person for brunch. (Excluding a champagne add-on charge) or $95 per person for dinner (holy moly). 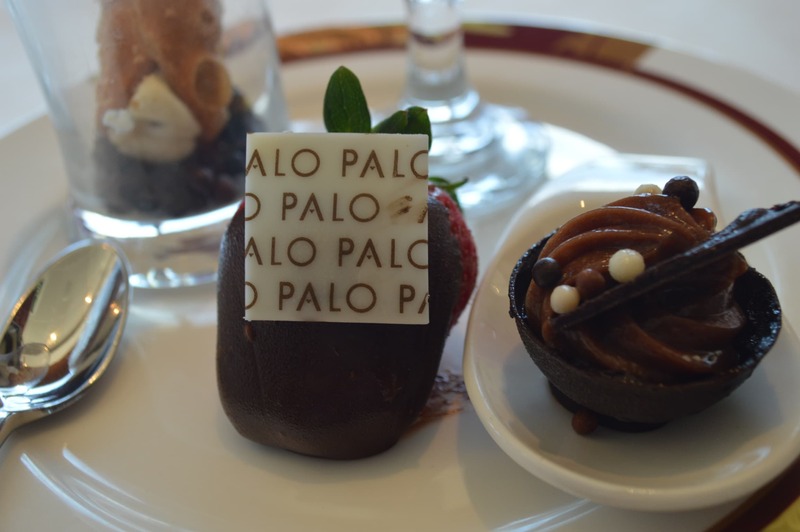 I did have brunch at Palo on my Disney Fantasy cruise and it was definitely worth it. They had the best chicken parmigiana as well as some super tasty and creative pizzas, and the service was top notch. Another result of Disney’s super water-works Imagineering is the AquaDuck coaster. It is a water slide/coaster combo that takes you around the sides of the ship. 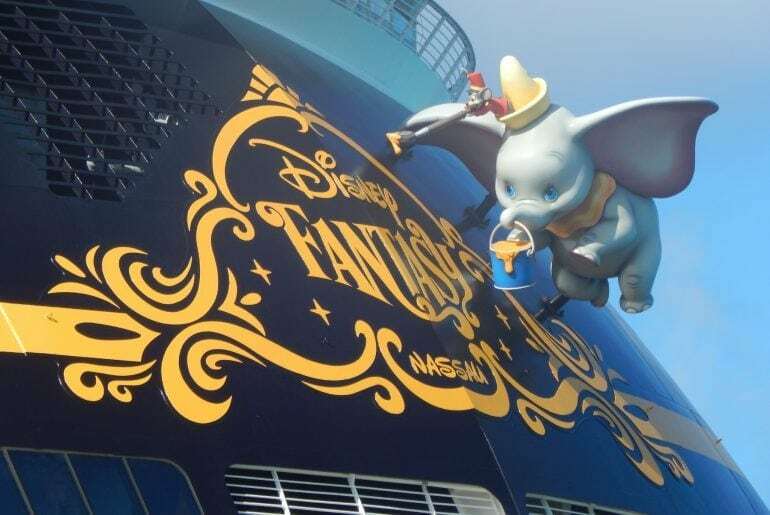 Available on the Disney Dream and Fantasy, you can climb to the top of the non-functional funnel to the slide start. A conveyor belt of inflatable inner-tubes means you don’t have to carry one with you on the trek up. When the ride begins, you loop around off the side of the ship and there are a couple of dips and straightaways until you pass through the other funnel and turn around, take another few dips. Down a straightaway to the rides’ end. It’s kind of a lazy-river-meets-waterslide. There are some POV videos going through the ride on YouTube if you want to “experience” it for yourself. In addition to the adults-only specialty dining venues. Disney provides other lounges and activities reserved for those aged 21+. There is an adult-only pool area, bars and lounges, and adults-only trivia, mixology classes, music challenges, and fitness classes, among other things. Much of the ship is for all ages. Then there are the kids-only areas, like the Oceaneer Lab, Oceaneer Club, Edge, and Vibe, reserved for different age groups from tots to teens. The kids clubs have special activities like dress-up, Super Sloppy Science, ice cream socials, and arts and crafts. If the grown-ups are treating themselves to a specialty restaurant or just want a quiet night at one of the main dining rooms, the kids and teens crew will take the kids to dinner at the buffet. Most of the time, the kids won’t want to leave the kids clubs. On Caribbean sailings, Disney holds a pirate-themed party on the lido deck after sail away. Complete with their own fireworks display! Everyone gets a special pirate bandana left in their stateroom, and many families and couples bring their own pirate costumes with them just to dress up for this special night. Pirates of the Caribbean music blasts on deck, there’s dancing and swashbuckling. Mickey and the gang even come in their own pirate outfits. I would say it’s the best deck party on the high seas. 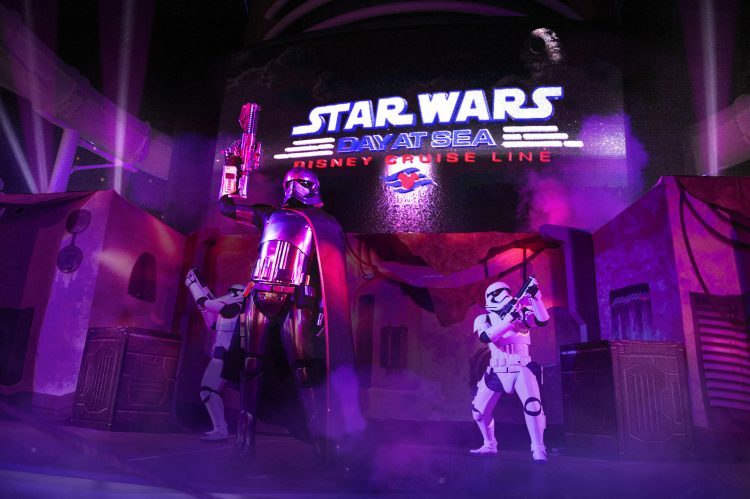 Disney offers special sailings for Marvel comic lovers and Star Wars fanatics! At the moment, you can find Marvel sailings on select 5-night sailings onboard the Disney Magic from Miami. Star Wars sailings are offered on select 7-night sailings onboard the Disney Fantasy from Port Canaveral. These sailings give you one day at sea full of characters and activities from the Marvel universe, s well as the Star Wars franchise. But these are limited throughout the year. Be prepared to pay a pretty penny for these sailings. 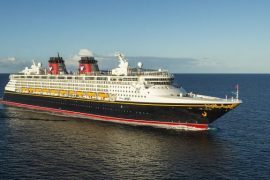 Since they are both limited sailings and in high demand, you will pay a little more than the standard Disney Cruise fare (which is already costly). 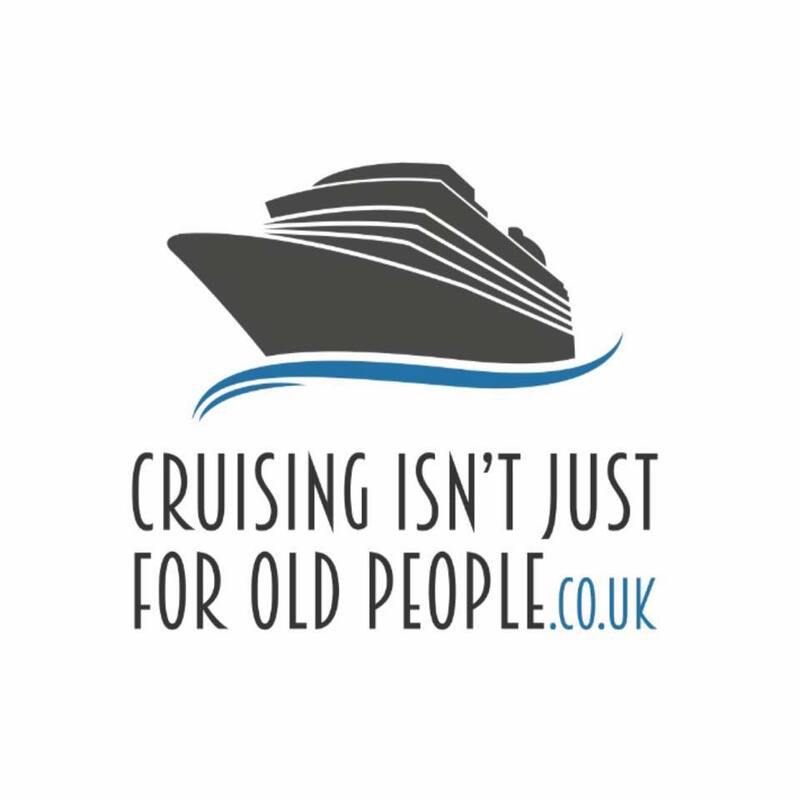 Holiday cruises are offered too! If you enjoy the Halloween and Christmas parties from the Disney Parks. You can experience them at sea too! Disney offers Halloween on the High Seas and Very Merrytime cruises fleet-wide during those times of the year. Halloween on the High Seas runs from mid-September until the end of October. Very Merrytime beings in early- to mid-November all the way through the end of December. Both themes include special deck parties and characters, and holiday themed entertainment. It’s a great dream of mine to afford a Very Merrytime cruise one day and go! These sailings are also priced higher than normal (as any holiday cruise on any cruise line is). 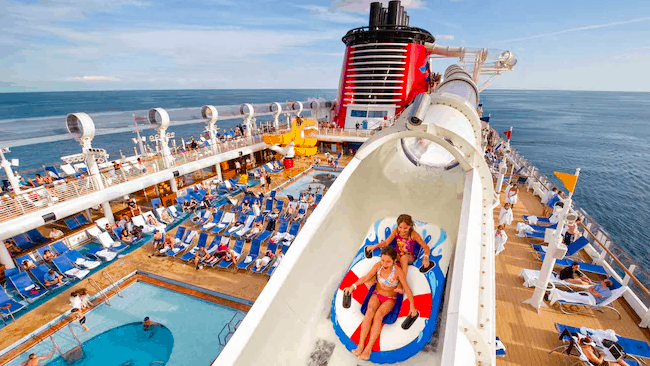 Is Disney Cruise Line worth the money? 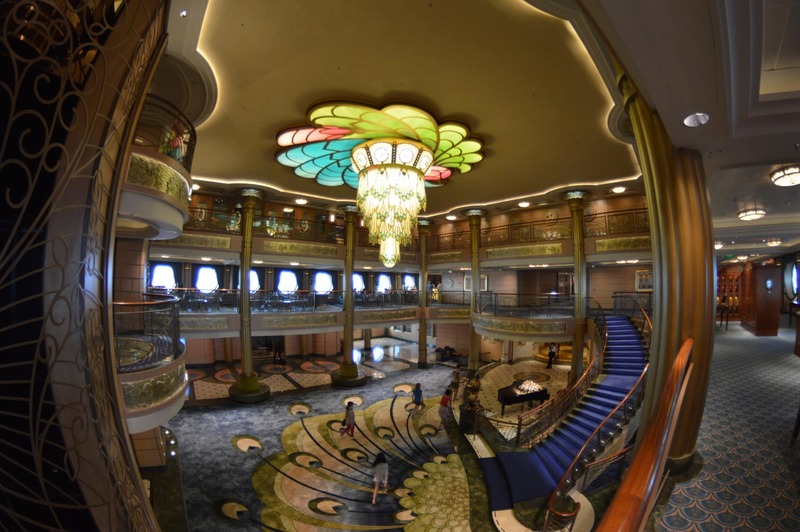 There is truly so much to discover with Disney Cruise Line, and this is just skimming the surface. If you can afford to go – even once – I highly recommend it, just to have that experience. Personally, I would still cruise on other lines before picking Disney just based on price alone. But if you can treat yourself to one, it’s worth the money for sure. The service from the crew is terrific, and having that touch of Disney magic at sea with all the characters and special events is surreal. A major bonus is all the Disney tunes that the ship horn can blast. It’s so much fun to be out on deck when they sound the horn! If I haven’t convinced you to try Disney Cruise Line, or haven’t pulled at your heartstrings to book another Disney cruise, all I have to say is: What is wrong with you?! Kidding, of course. But in all seriousness, if you’re lucky enough to have gone, or to give it a try for the first time, it is a real treat to sail with Disney. With Captain Mickey at the helm, you can’t go wrong. Keep a lookout for three new sets of the iconic red smokestacks on the horizon, too! Disney has three new ships on the way starting 2021 through 2023. Thank you so much for this Emily! I love getting guest posts from you. They’re so easy to read and I learn so much. 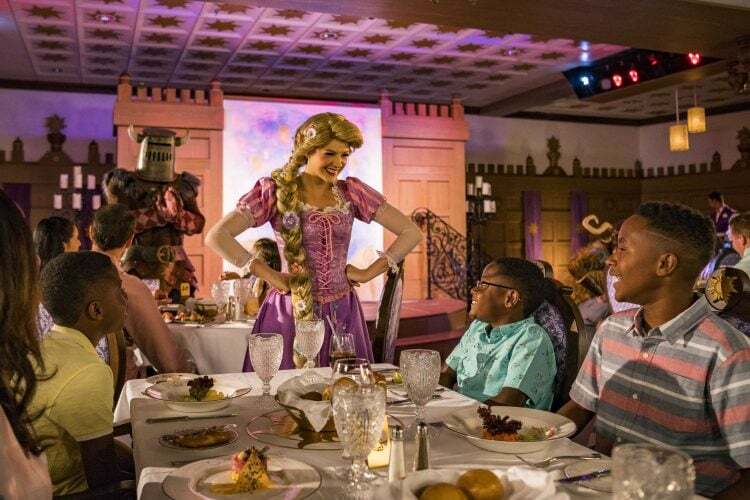 I had no idea you’d have to book meet and greets to meet characters or that you could, literally, get a plate of nothing for dinner. I’ve got two nieces and I’m sure they’d both love Disney! Hopefully, I can take them one day. Emily Knab has just graduated from college, woohoo! Go Emily!! 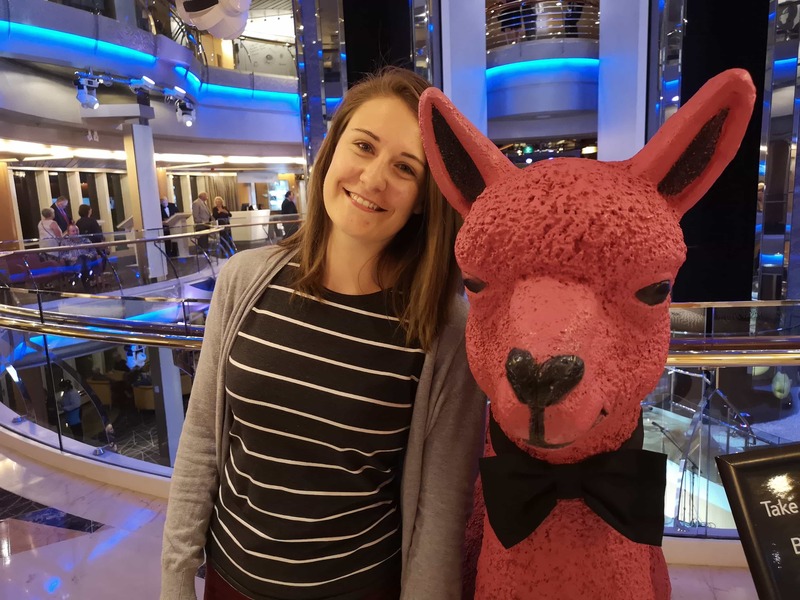 She’s a hotel desk agent and full-time cruise enthusiast from New York State. 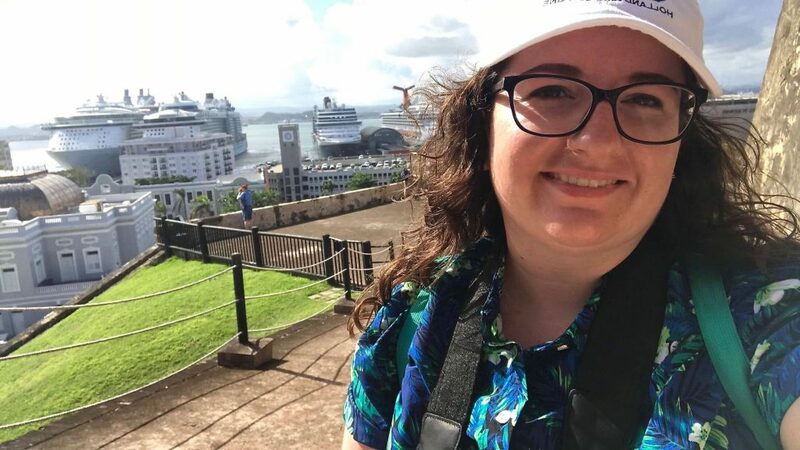 She loves to plan cruises for her friends and family and herself. 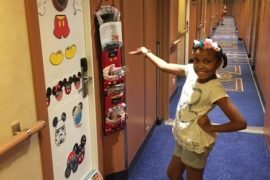 She has cruised with Disney, Princess, Royal Caribbean, Celebrity, and Holland America Line. You can find Emily on Twitter here and Instagram here.